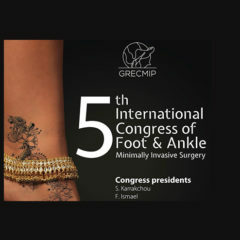 From march 21rst to 23rd will happen in Marrakech the 5th International Grecmip Congress of Foot & Ankle. As each edition, FH ORTHO GROUP will be Platinium Sponsor. Its team will welcome you on booth n°5 during 3 days, and also in its own workshop dedicated room.